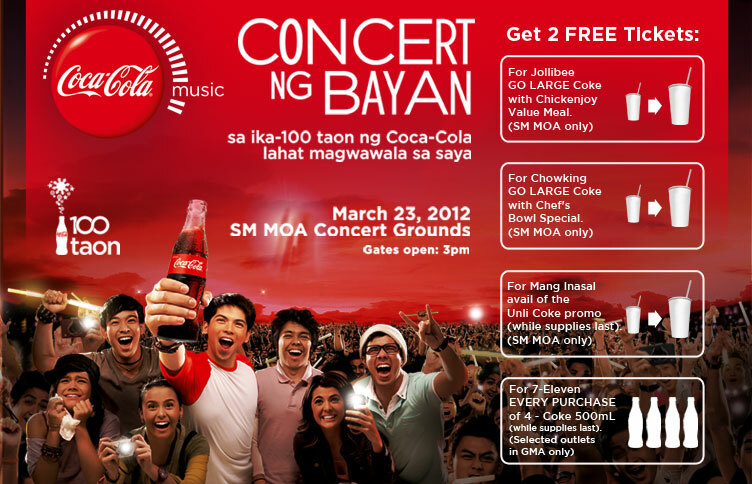 Coca-Cola is giving you Concert ng Bayan! In celebration of 100 years of Coca-Cola, Concert ng bayan is a reality, featuring the top bands of the country with Parokya ni Edgar with Gloc 9, Sandwich with 6Cyclemind, Sponge Cola with Chicosci, Callalilly with Ebe Dancel, Rico Blanco with Never the Strangers, Itchyworms, Wolfgang with Sarah Geronimo, Somedaydream and Mr. Pure Energy Gary Valenciano plus a surprise guest! Please check your email now, and how to get these tix! Must "Like" The Food Alphabet on Facebook.
" 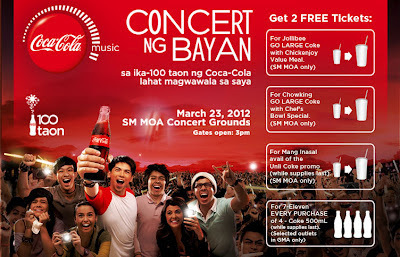 tag @The Food Alphabet is giving away 4 VIP tickets to Coca Cola Concert ng Bayan at SM MOA Concert grounds! tag @friend1 @friend2 @friend3 Let's join and win!!!" This giveaway is good until March 21, 12mn. I will contact you if you win and on how to get these tickets from me. 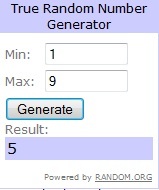 Winner will be picked via random. Winner will be announced on March 22 early in the morning! Good luck to everyone! thanks for your entries... wait for the winner announcement within the day. Good luck! Unlimited booze and food at The Olympigs! New Yoshinoya treats to enjoy! Gong Cha 10 + 1 promo is up!